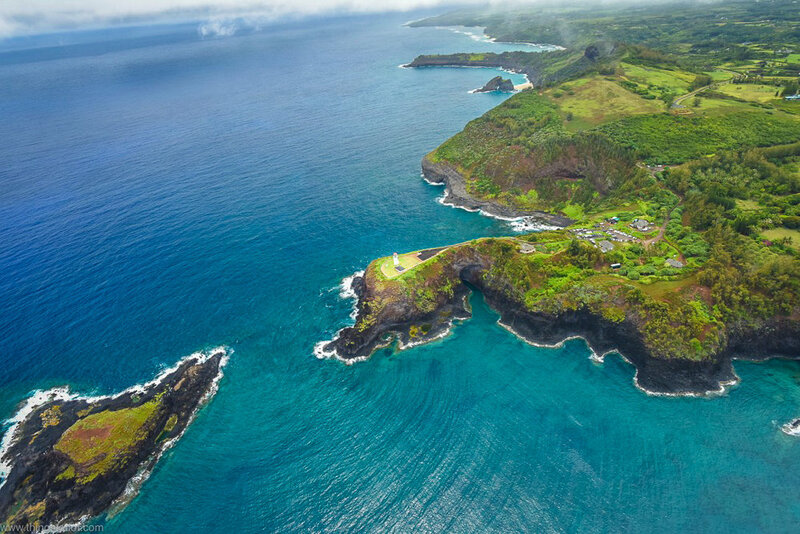 Helicopter tours are perhaps one of the top things to do on the island of Kauai in Hawaii. 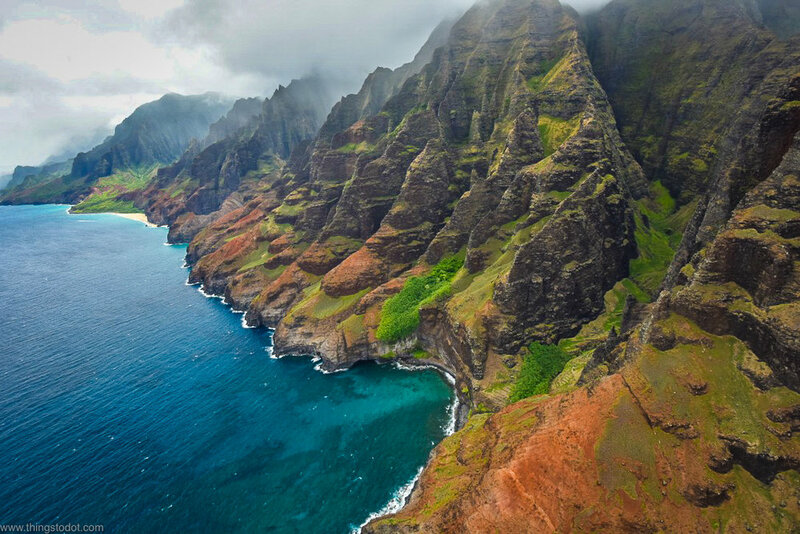 Almost 80% of Kauai comprises of inaccessible terrain and private property making helicopter tours very important. The tours will be able to take you to the very interiors of the island and you will see so much of Kauai that you cannot see any other way. I booked a 60-65 minutes doors off helicopter tour with Jack Harter Helicopters. Although there are many tour companies to choose from, I particularly wanted to do a doors-off tour and since a friend had already flown with Jack Harter and was quite happy with the experience, I decided to go for it! I have to say that it was one of the best experiences of my life! I was able to see a lot of Kauai including the Waimea Canyon, the Na Pali Coast, the Jurassic Park Waterfalls, the Olokele Canyon, the North Shore beaches from Ke'e to Hanalei and the Wailua Falls. Jack Harter flies the Hughes 500 with the doors off. The total number of passengers flying at a time are 5, which means that 4 people are guaranteed an open side seat. The 5th passenger sits in the front middle seat between the pilot on one side and another passenger on the open side. A single person is guaranteed an open side seat. The regular price of the tour is $289 per person. It's alway much cooler when you are flying with the doors off so you are advised to dress appropriately - a warm jacket and pants or jeans with sturdy lace up shoes. I also wore a wind jacket over my warm jacket just to be extra sure I did not catch a chill! Other good helicopter companies are Blue Hawaiin Helicopters but they don't offer door-off tours. Since I was a single person, I got the front open side seat with another passenger sitting between me and the pilot. Here are some pictures I took from the flight with a Nikon D810 and a 20mm Nikon prime lens. In order to avoid getting the helicopter wings in your pictures, its best to set the camera on continuous mode and click continuously! I used shutter priority of about 2000th of a second and a polarizing filter to avoid glares.